I remember seeing this diorama two years ago when it took Bronze in the Diorama category of the 2013 UK Golden Demons. I was blown away by it then and I still am now. The whole concept is amazing and it's so refreshing to see something this high quality that uses models from one of GW's smaller games. 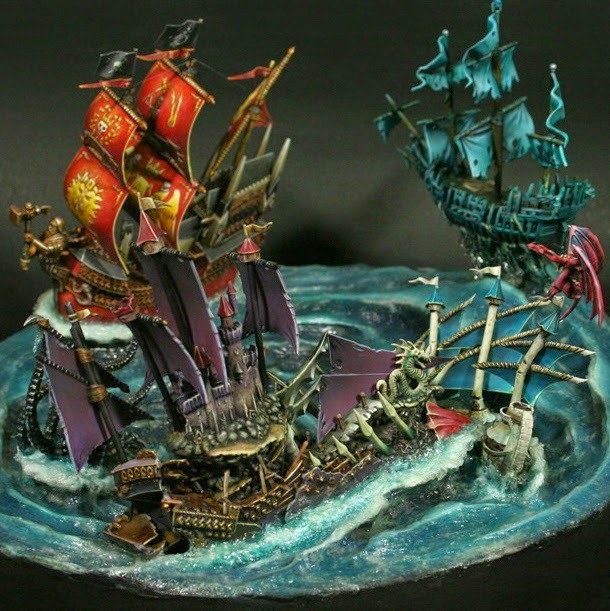 The Dreadfleet models really are great and packed full of detail. I have only gotten a little bit into painting the main Empire ship myself. It clearly evokes the ending scene from the third Pirates of the Caribbean movie, which Pablo even admits was his inspiration. 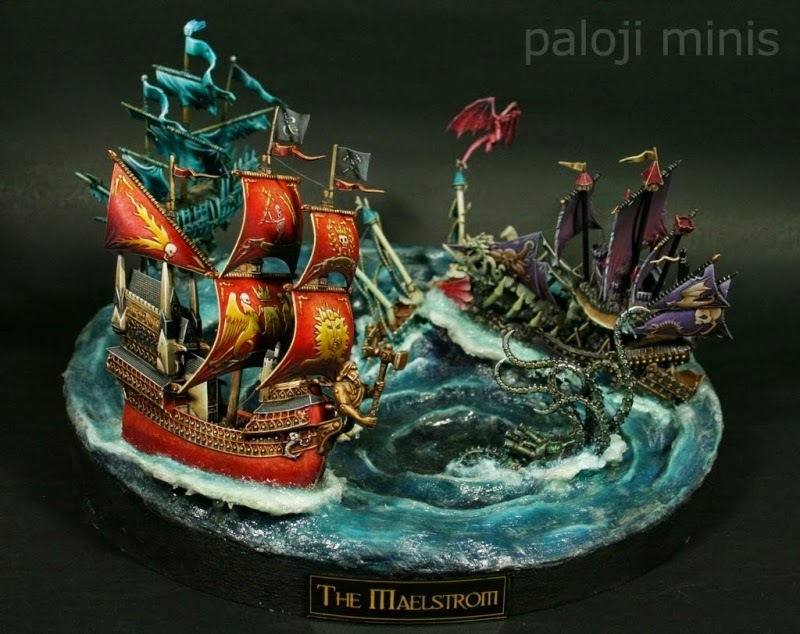 Even though it is paying homage to that scene it definitely has a distinctive Warhammer feel to it.